Cats Cradle is located in a quiet residential road. We are a family run business with a passion for cats. All features of the cattery have been built with security in mind. 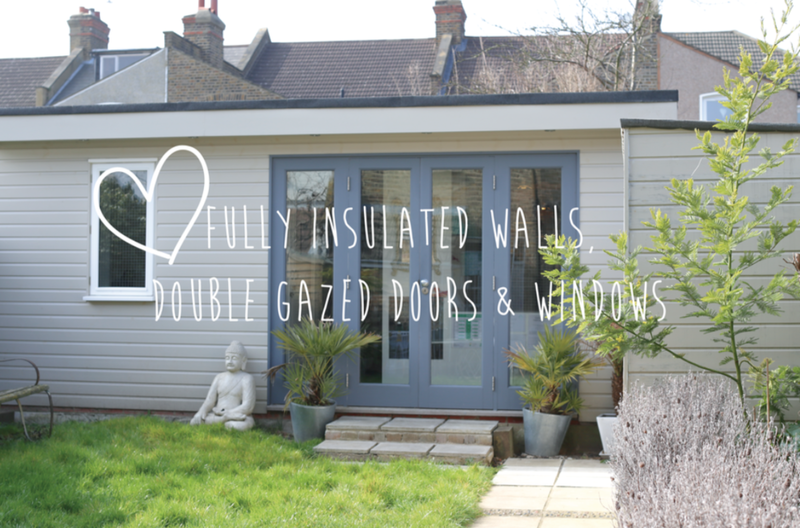 Cats cradle is a completely enclosed unit with secure lockable windows and doors, all windows have wire mesh frames so even when open they are still secure. Each pod has it's own external and internal lock, in addition to this their is a safety corridor. All cats are boarded in secure individual pods unless visiting the cattery from the same family. 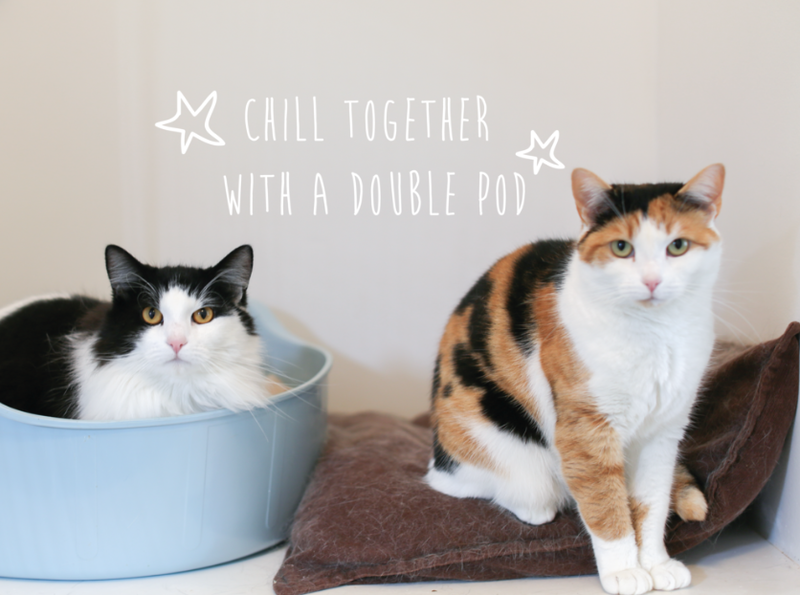 Cats cradle cattery offers comfortable spacious pods with 6ft full height runs. Each cat is housed in an individual pod. 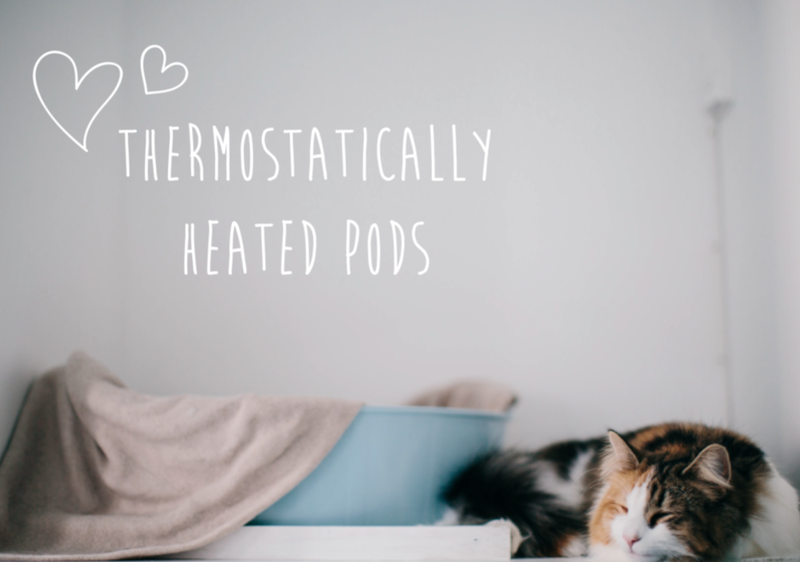 All pods are thermostatically heated, warm and cosy ready for your cat to have a safe and comfortable stay. While you have peace of mind that your cat can do what he/she does best ... sleep. All facilities meet with the latest Feline Advisory Bureau's high standards. 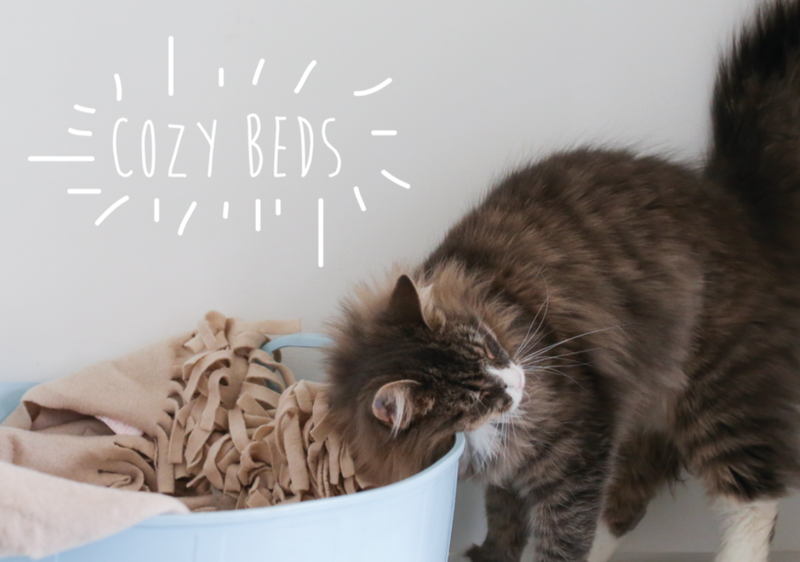 All pods will be provided with cat beds, blankets and cosy 'vet bed', however you may wish to provide your cats own bedding to make their stay as happy and stress free as possible. All pods are cleaned twice a day and sterilized thoroughly between boarders. All cats at cats cradle will be fed twice a day, older cats and kittens will be fed on owners recommendation. 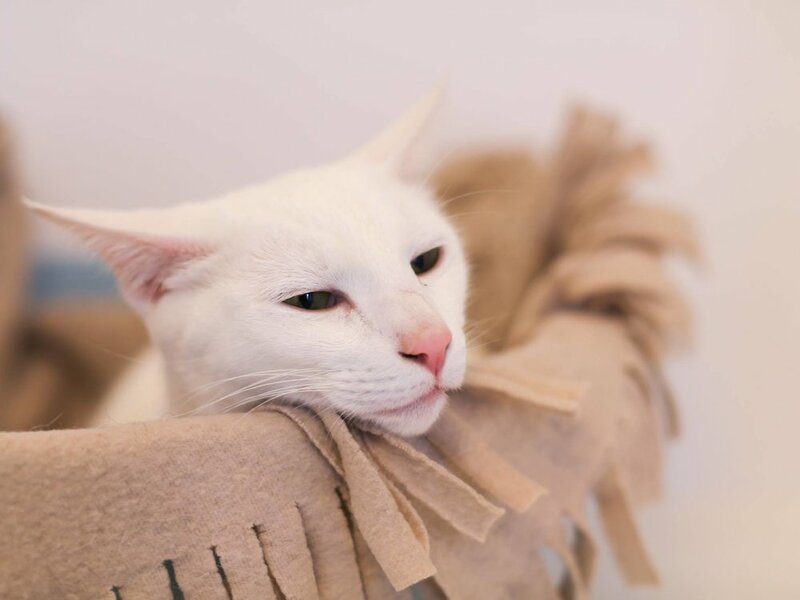 All cats at Cats Cradle are fed top quality food ( all well known brands are available) , if you have a particular preference please state this on your booking form. (prescriptions and diets owners must supply). 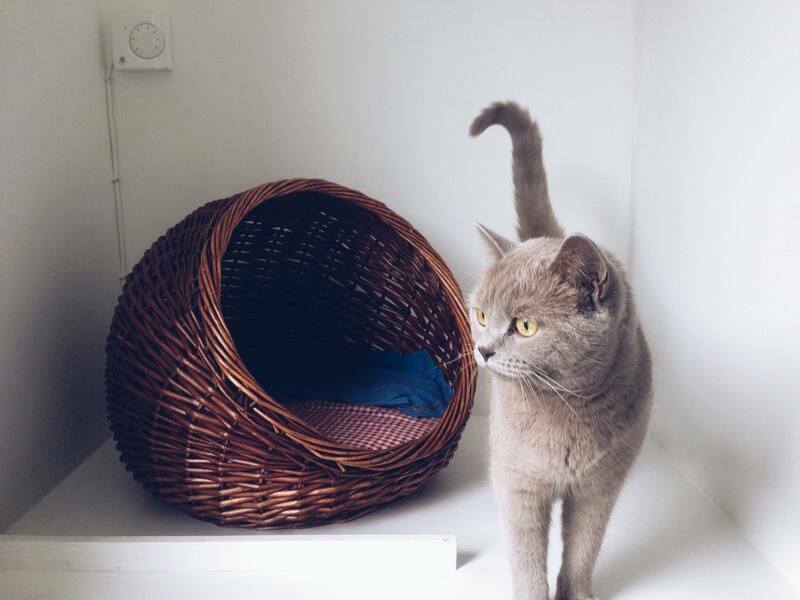 Cats cradle cattery is fully licensed and inspected once a year by the London Borough of Lewisham. Additional cats from the same family sharing a pod. Additional cats from the same family sharing a double pod. food, bedding, heating, litter and pet insurance. During busy periods the full payment will be required 6 weeks in advance. 4 days or less an additional charge of £2.00 per cat, per day will be added. Once you have your required dates confirmed please send us your completed booking form and pay your £25 deposit. Once we receive your completed booking form and deposit, your booking will be 100% secure.